School of Rocks! - Atlanta Rocks! Climbing builds self confidence and enhances both teamwork and self-reliance. Climbers learn to control their bodies and solve complex physical challenges by using their brains as well as their muscles. The social and athletic skills acquired through climbing will provide a lifetime of enjoyment.  Youngsters are supervised by Atlanta Rocks! staff and will have ample time to develop friendships with other School of Rocks climbers. Parents are encouraged to relax in the gym, or get some work done, while their kids climb (Free Wi-Fi). Offered from 4 pm-6 pm, Monday-Friday (except holidays), while school is in session, for children ages 5-17. Fee — $20* per youngster per day ($15* for additional youngsters from the same family). Five Visit School of Rocks Punch Card (first youngster) is only $90 ($10 savings). Five Visit School of Rocks Punch Card (second youngster) is only $65 ($10 savings). *Rental shoes and harness included.